Despite being critical of the Duterte administration, Senator Francis “Kiko” Pangilinan will not take a beating from the President himself, at least while Megastar Sharon Cuneta is still around. The statement came while President Rodrigo Duterte delivered his speech in Malaybalay City, Bukidnon, during the inauguration of what is dubbed as Northern Mindanao Wellness and Reintegration Center (NMWRC), Mindanao’s largest treatment and rehabilitation facility for illegal drug victims. NMWRC in Bukidnon shall help the drug – dependents’ families alleviate spending costs should they decide to bring their ‘patients’ to private rehabilitation centers. 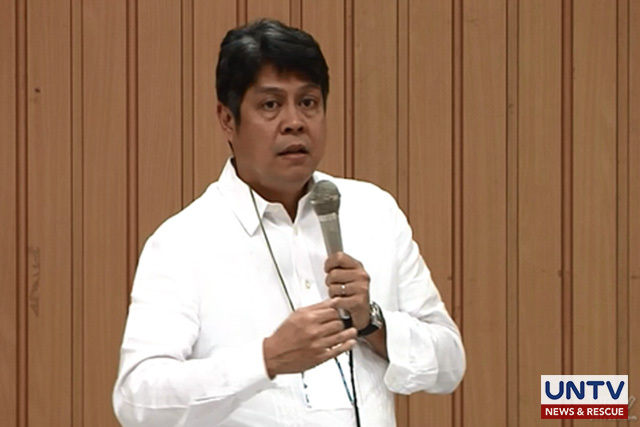 “Kaya hindi ko ito mabugbog si Pangilinan. Dahil kay Sharon eh. Gusto kong p****** ‘yan, isa pa rin ‘yang u*** na ‘yan. Nandyan lang si Sharon eh,” President Duterte said. 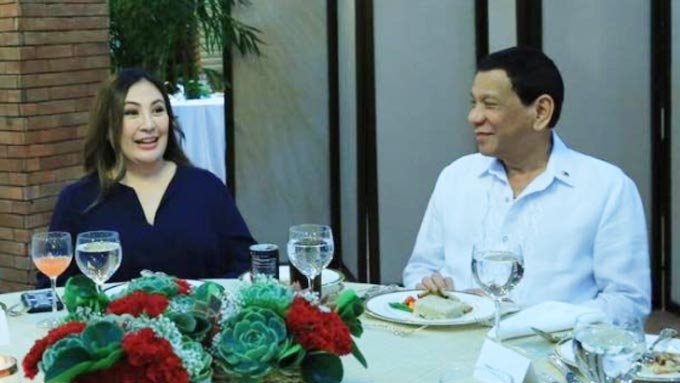 Duterte pointed out that he owed Pangilinan a ‘debt of gratitude’ for helping fulfill Davao City Mayor Inday Sara’s childhood dream of personally meeting with the Megastar for her 10th birthday. Despite being indebted to Pangilinan, the defiant Duterte couldn’t help but to lash out disappointment and criticism to the Senator for passing the Juvenile Justice and Welfare Law, raising the minimum age of criminal liability to 15 years of age. “Ngayon na sige siya daldal ng wala-walang kwenta, mas marunong pa sa akin, susmaryosep,” the President referred to Pangilinan. 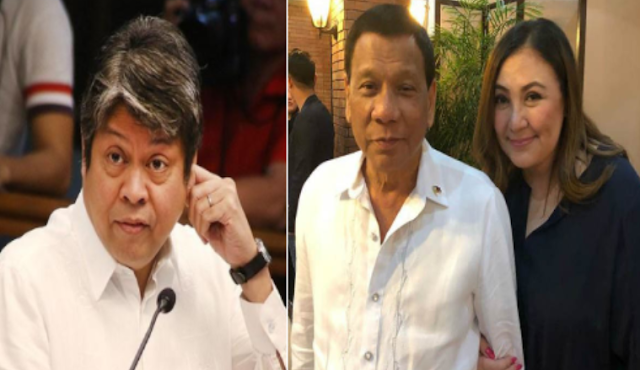 Meanwhile, Megastar ‘Superfan’ Davao City Mayor Sara Duterte went ga-ga over her idol following her well – anticipated reunion with the celebrity actress for hosting a dinner celebration in Davao City. “You are still the gracious person from 30 years ago but I feel that you are happier now 😊 ❤️ Davao will always welcome you. Happy 40 years in showbusiness! #sharoncuneta #sharoncunetanetwork,” she said in the post.